First, props to Jamie Billingham for introducing us to Coggle, a mind mapping tool that’s allowed us to capture our preliminary thoughts on the Future of Work. Now, what’s all the buzz about? Inspired by Deloitte’s Tom Friedman interview back in July, we’ve started to reflect: What will the future of work look like? How can we shape it? What’s already happening to drive these changes? Here’s the first “snapshot” release – what we have so far – for reflection and discussion. 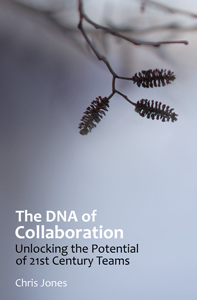 For more in depth viewing, here’s a link to the ORGDNA-FutureOfWork v1 PDF version. Q1. To the left, initial conditions: Stakeholders, Trust & Culture? Q2. To the right, outcomes: Platform & Learning? Q3. At the top, unsolved problems; Silos & Transparency? Q4. At the bottom, enablers: Technology? Q5. What can we learn from this model? We’d love your input. Just drop us comments on this post, or to individual members tweeting at #orgdna. In fact, it’s probably easiest to simply join the conversation (details below). Lot’s to talk about .. looking forward to where we might take this. ABOUT THE GROUP. Over the last 5 years, a self-selecting band of OD thinkers has been discussing the future of the organization, using hashtag #orgdna. The number of active contributors seems to hover around 20-25. ABOUT THE TWITTER CHAT. On any given month, 5-10 of us come together on Twitter, as available, for conversation. Please join us. The chat is open to all. For the chat itself, we recommend a tweet streaming app like TweetDeck. Just add #orgdna (and optionally, now, #futureofwork) to your tweets, and we’ll see you at the appointed hour. ABOUT THE TOPIC. Much is being said on “the future of work” and its unfolding dimensions. Don’t miss Deloitte’s recent Tom Friedman interview, hosted by Deloitte CEO Cathy Engelbert and their senior strategist John Hagel. ABOUT THE AUTHOR. A thinker, instigator, and explorer of edges, Chris Jones has been unpacking the forces inside organizations for 30 years. Look for more here on the #orgdna blog, on Medium – or for his deepest dive to date, over on Amazon.